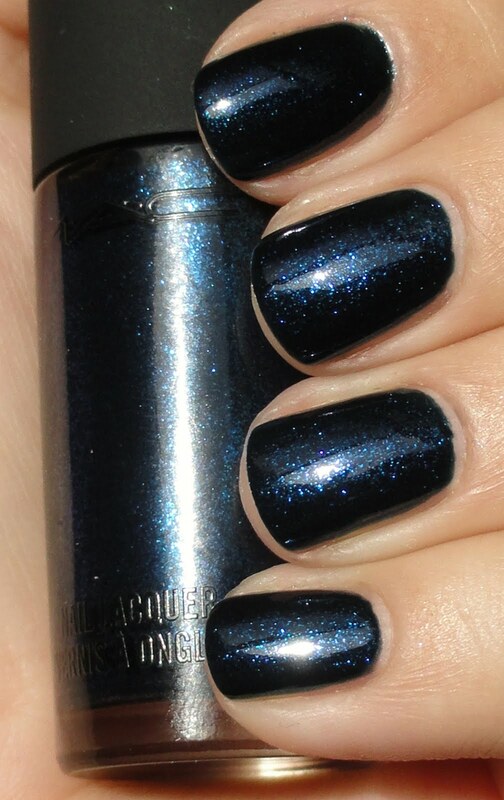 This MAC polish is from the new Jeanius collection, called Biker Blue. It's described as having a black base with purple and blue pearl. Uhhh, I disagree. 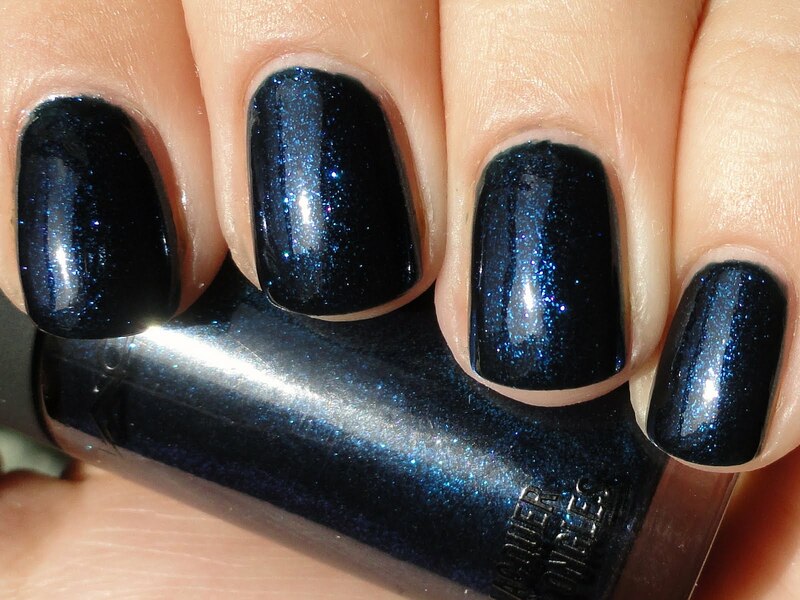 It looks like a dark blue with blue sparkle with a super slight purple duochrome. Pretty, but not as pretty as I had hoped. This is three coats.